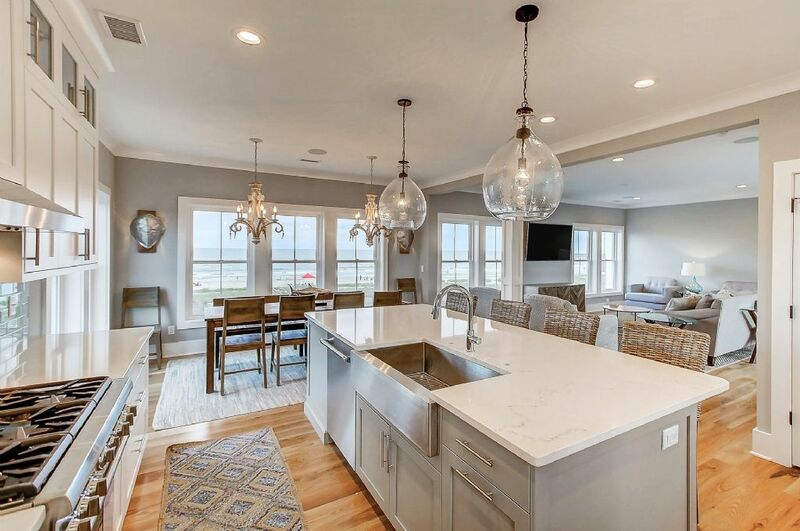 Beach front 5 bedroom, 4 1/2 bath custom home. 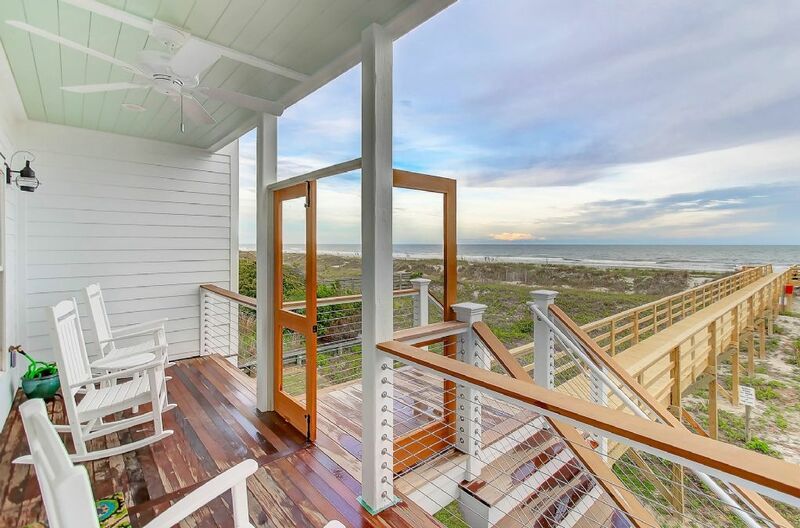 The Swell Life features sweeping ocean views from every room. 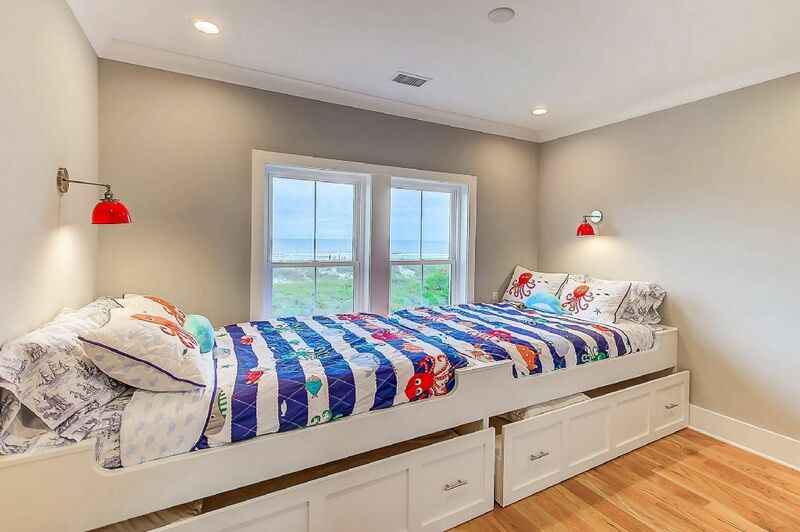 This nearly 3,000 square foot home is designed as the perfect family getaway. 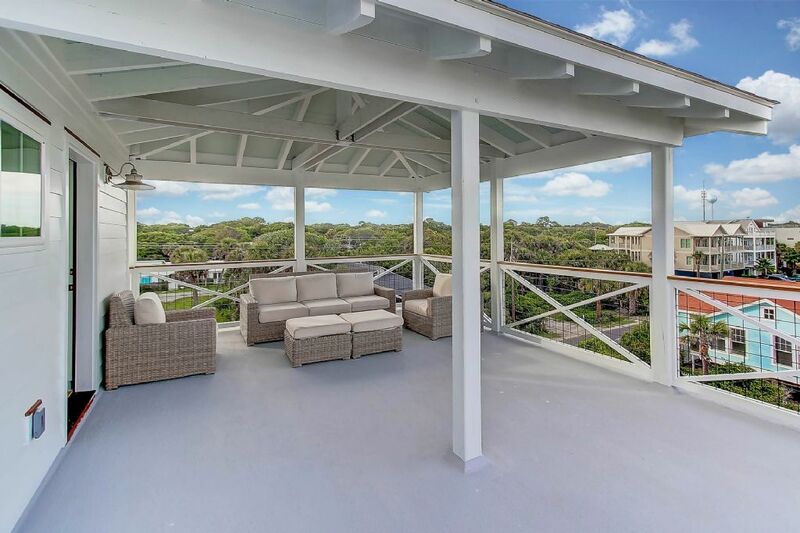 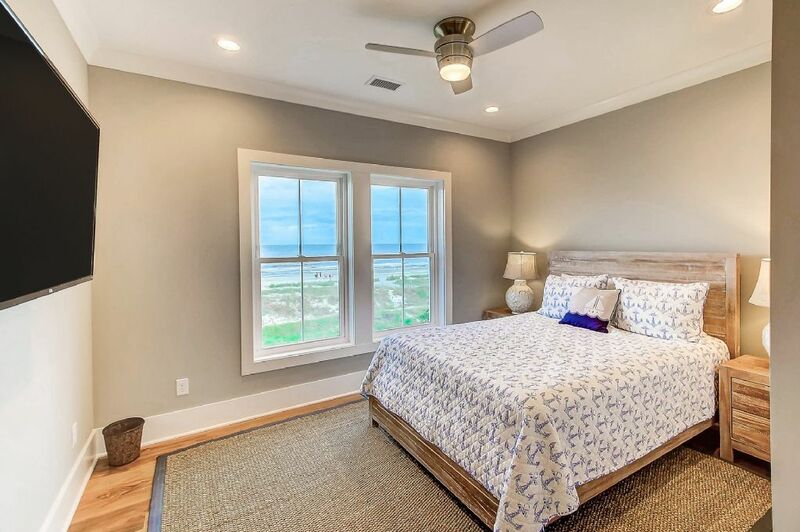 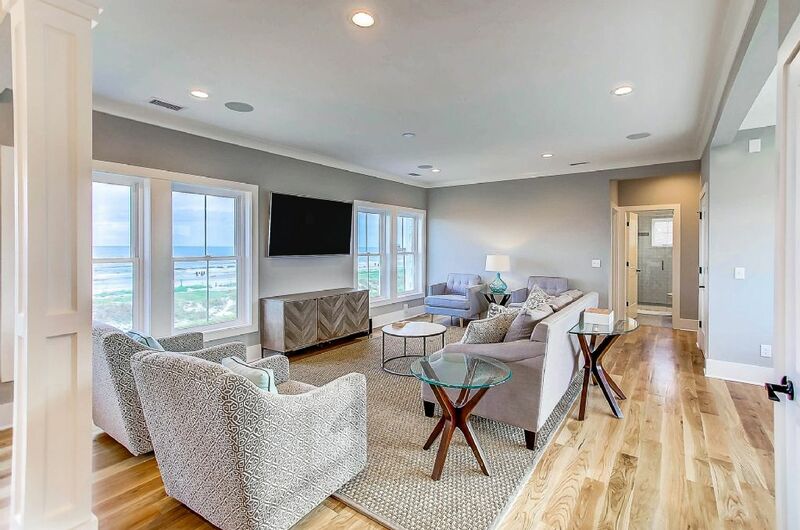 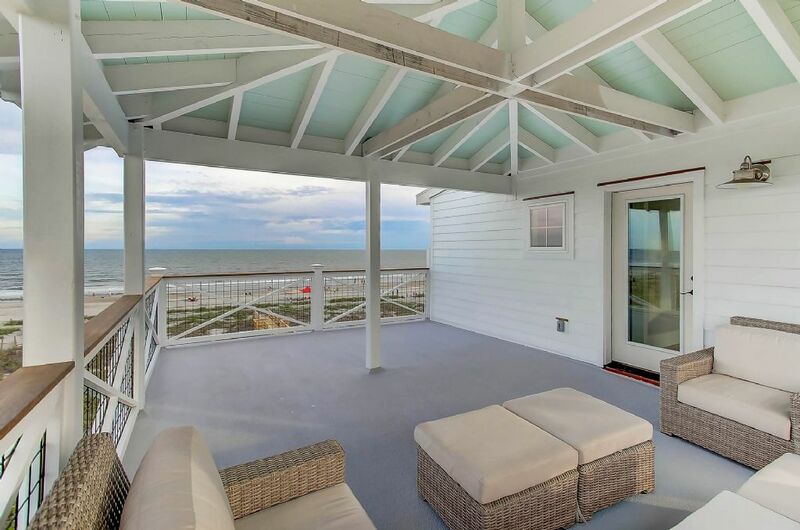 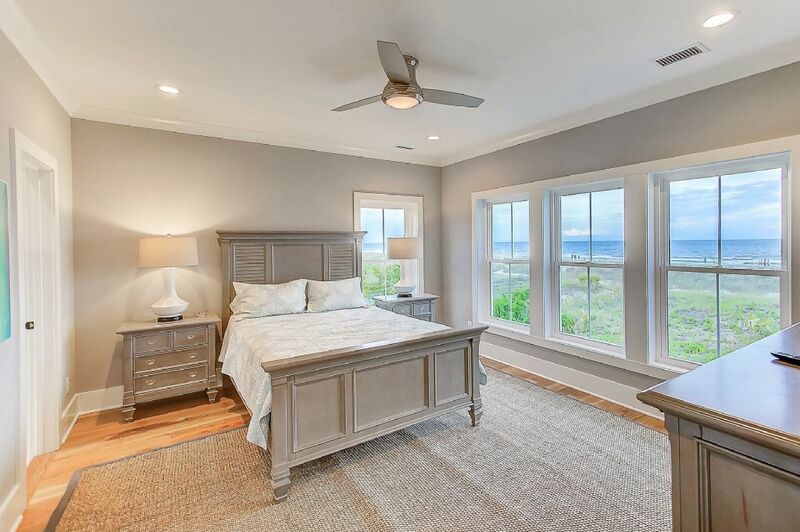 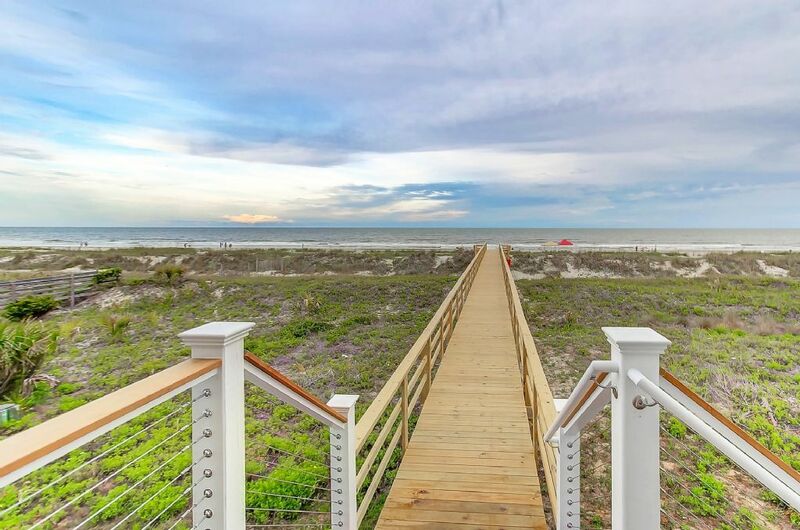 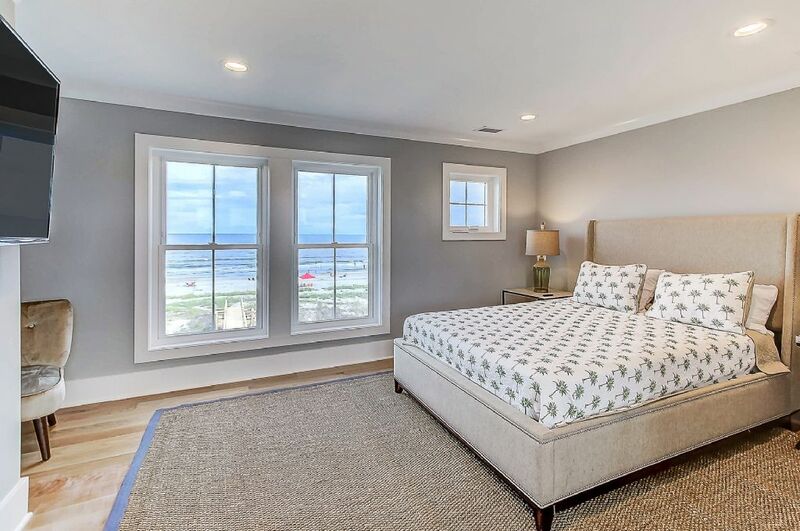 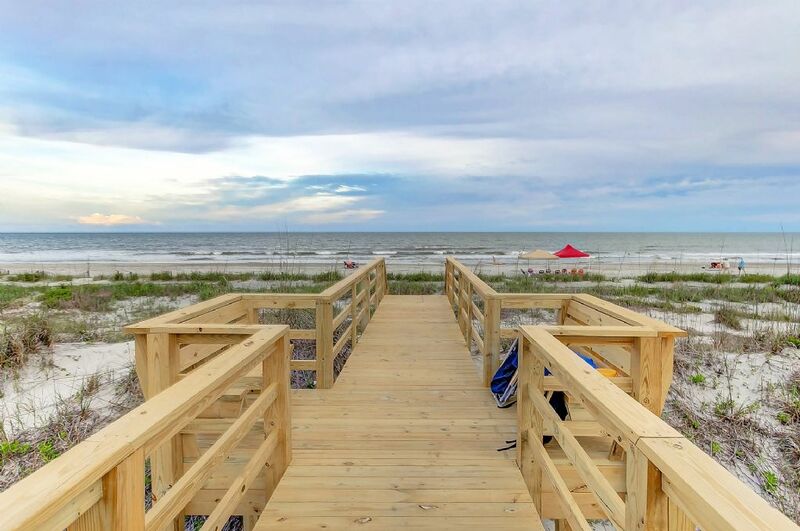 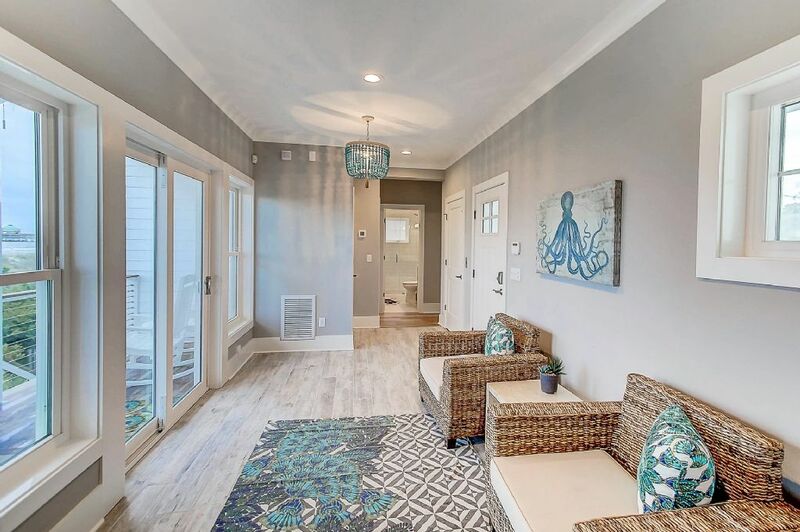 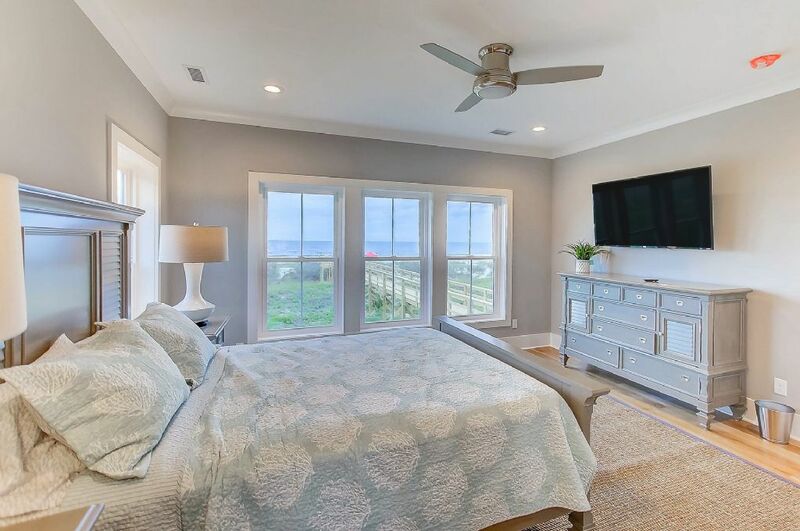 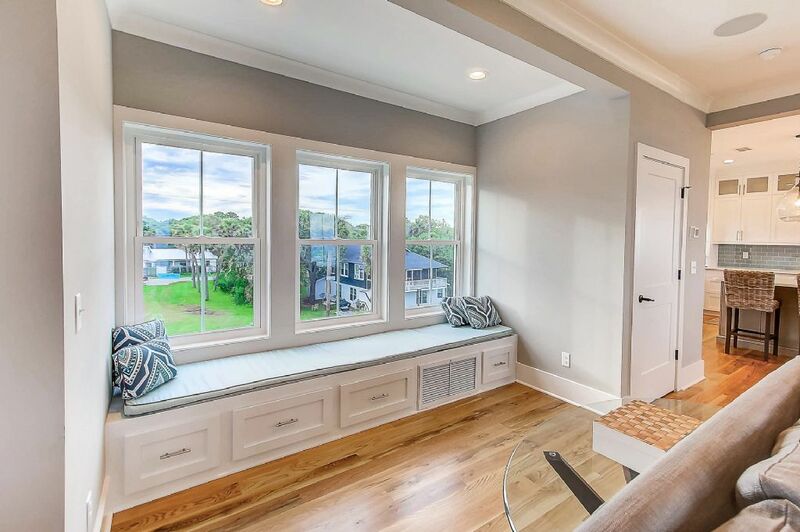 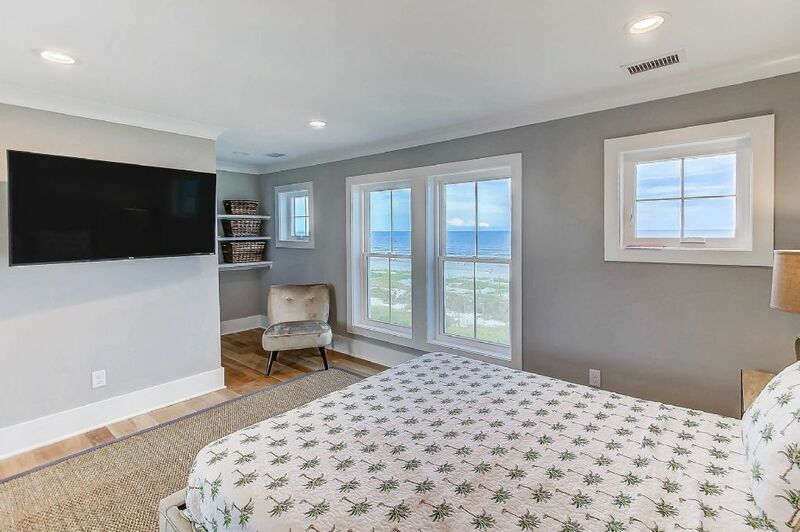 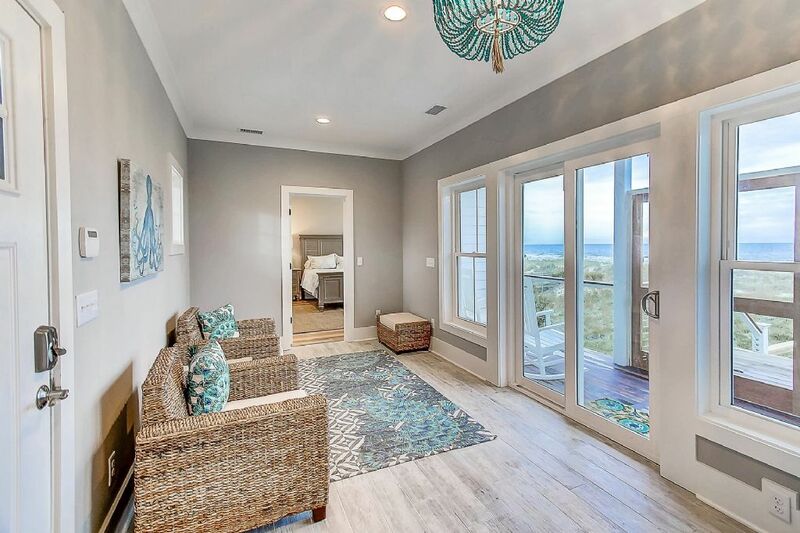 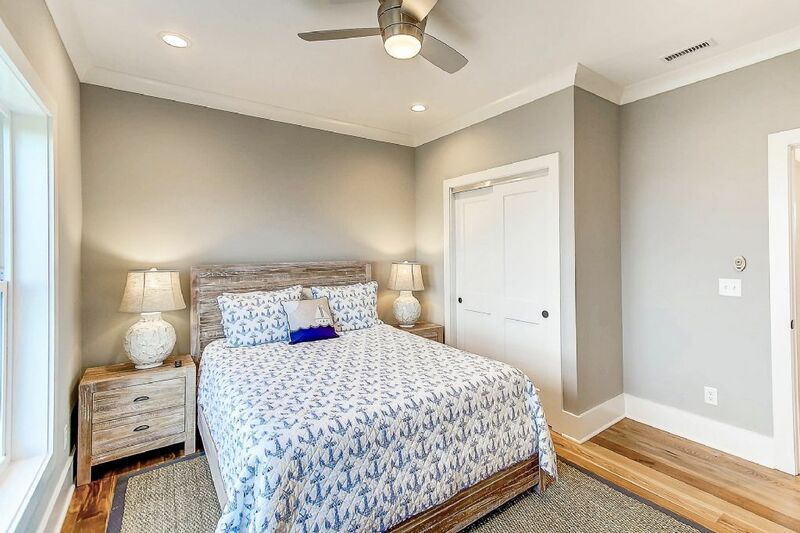 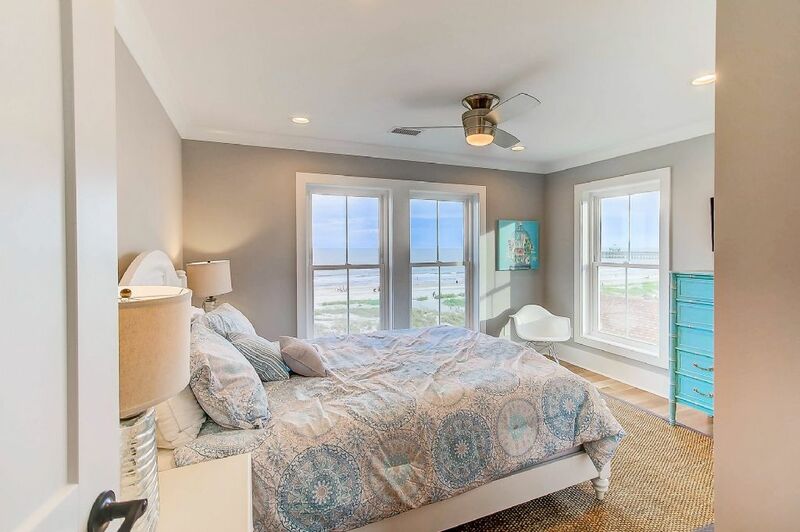 The first floor contains the master suite with queen size bed, a family bunkroom for six with two full and two twin trundle beds, a seating area and an ocean front screened in porch leading to a beach walkover. 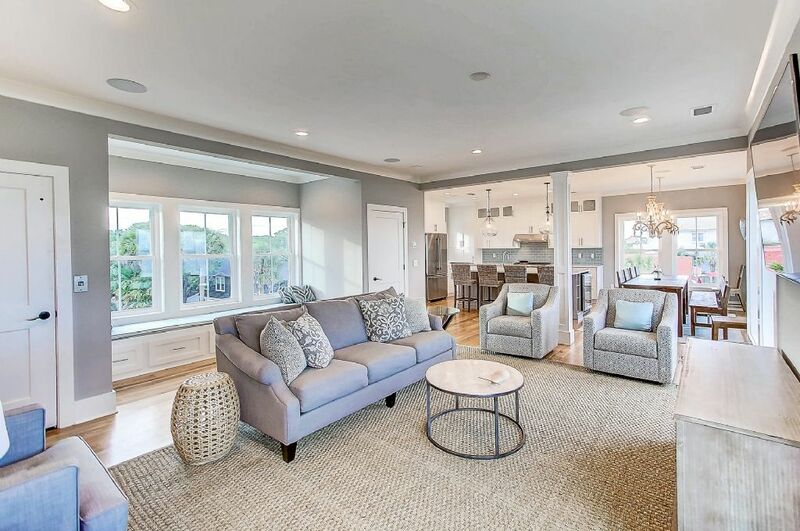 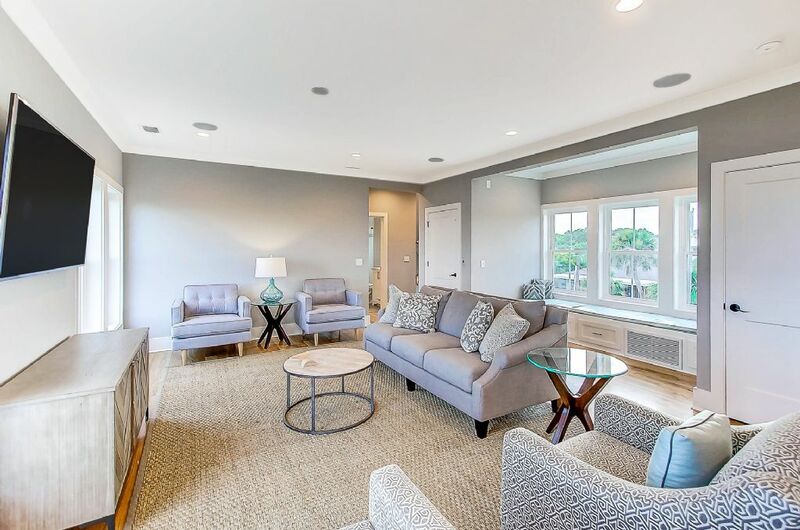 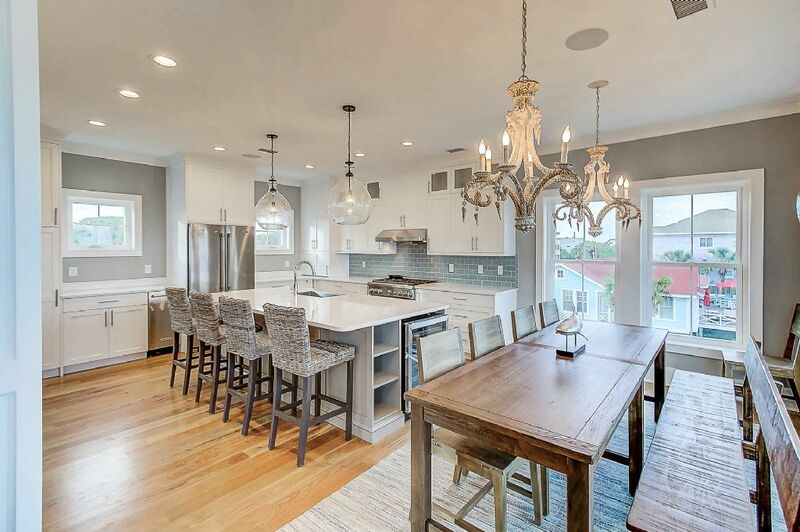 The second floor is built for entertaining and includes an open floor plan that combines kitchen, dining, and living room. 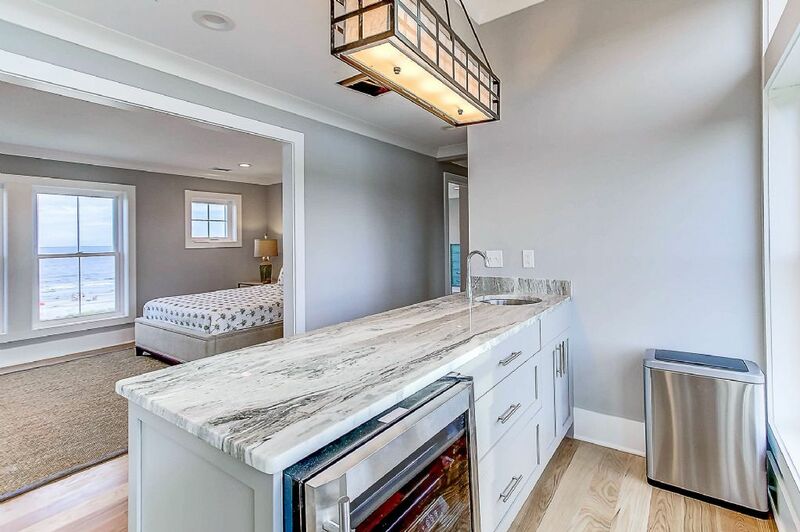 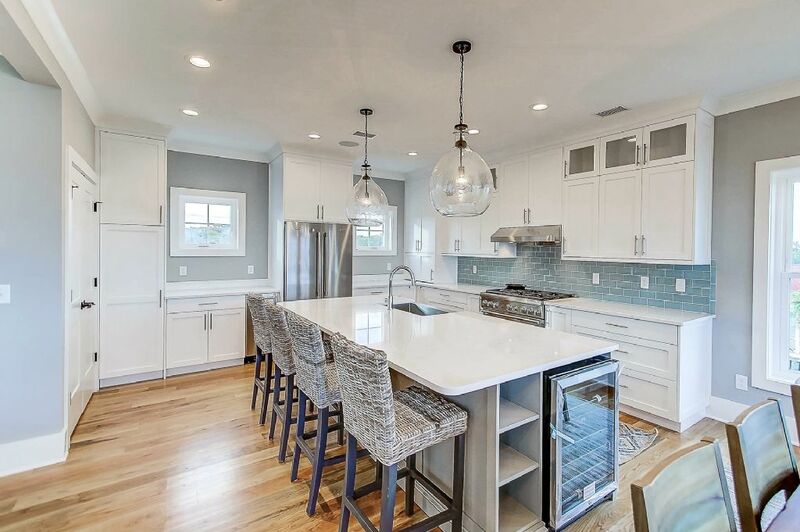 The gourmet kitchen include large Thermodor gas range, stainless steel refrigerator, separate dedicated icemaker, wine cooler, large quartz island with bar stools, custom cabinets. 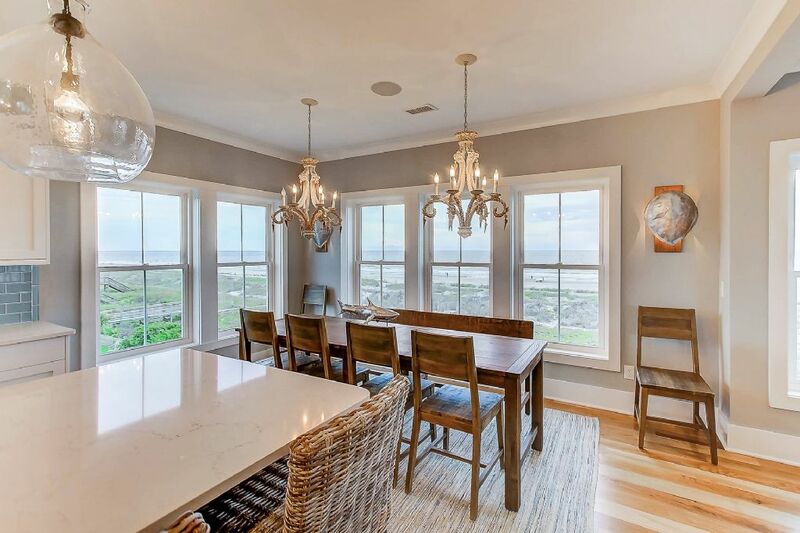 The dining room features a large table and both bench seating and chairs. 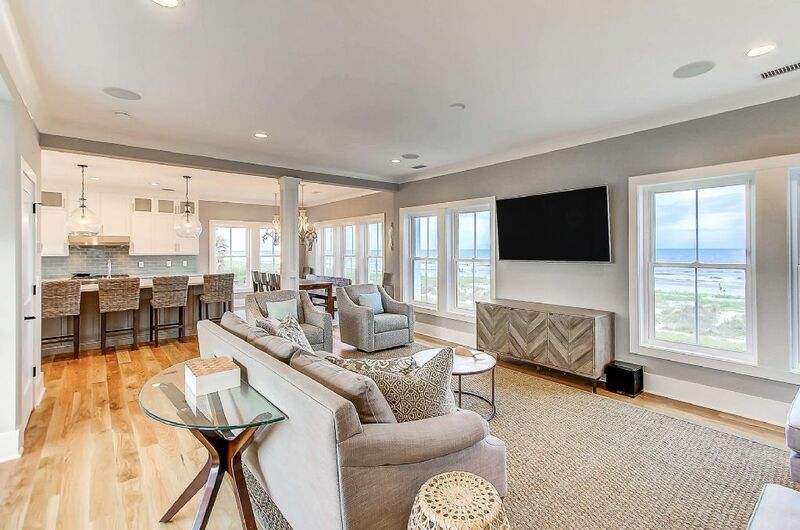 The living room is perched in the center of the action and includes the latest in audio-visual entertainment in addition to gorgeous views of the beach action. 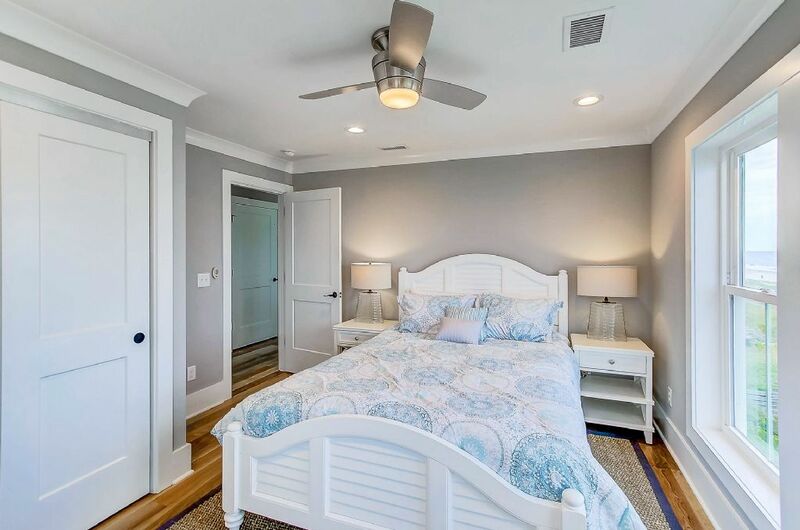 Third bedroom is located off 2nd floor living area with queen bed. 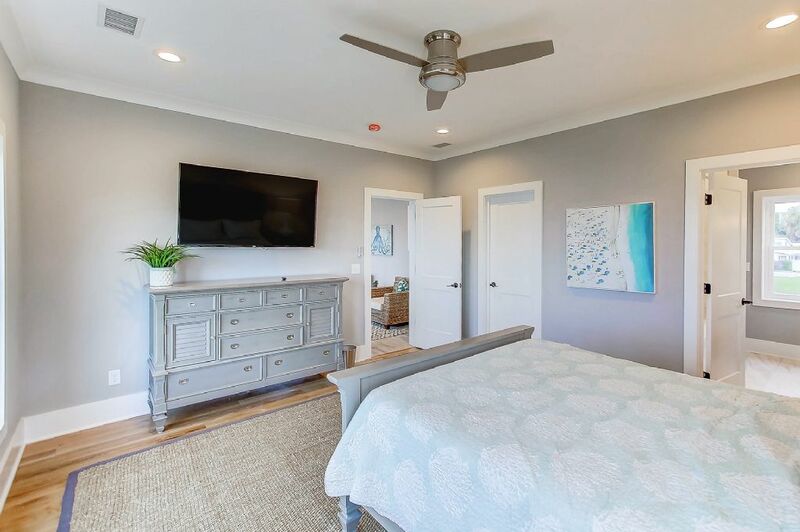 The top floor features two bedrooms, both with queen beds, a roof top deck which features both a covered area as well as areas to enjoy sunny days. 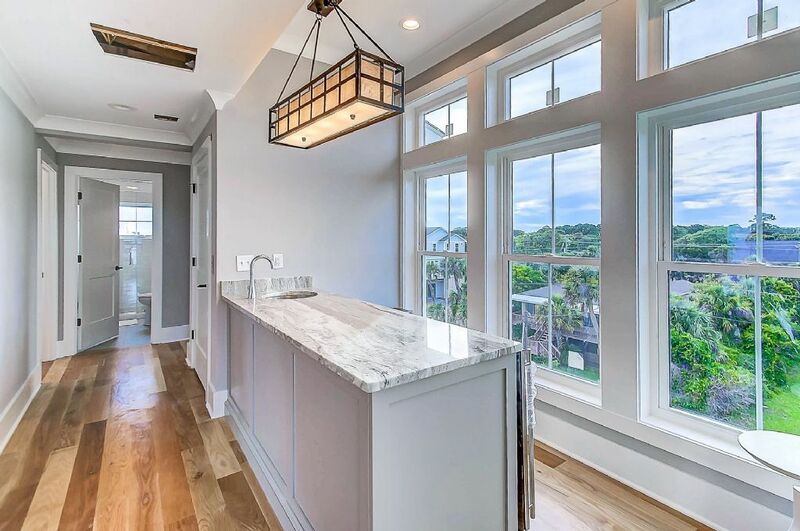 In addition, the third floor features as a wet bar with beverage station. 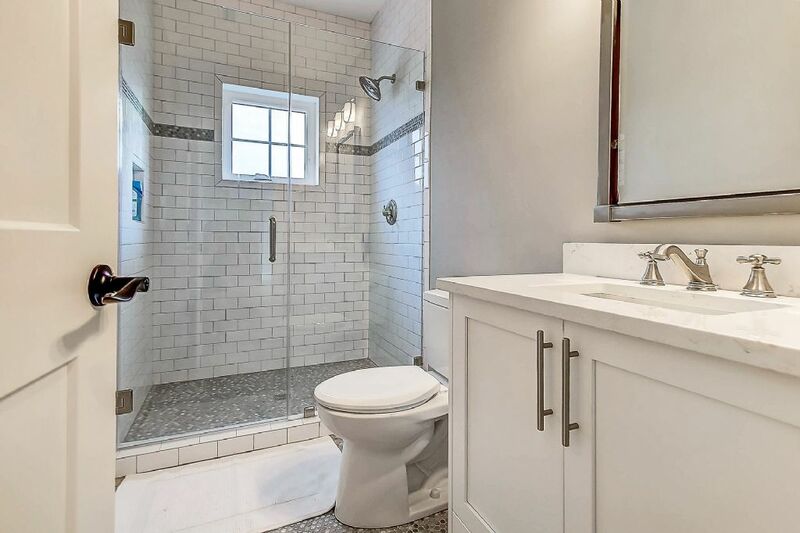 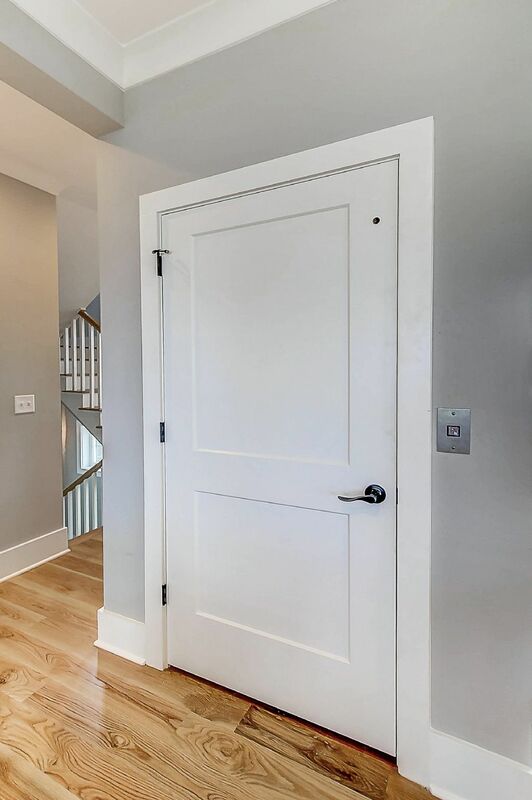 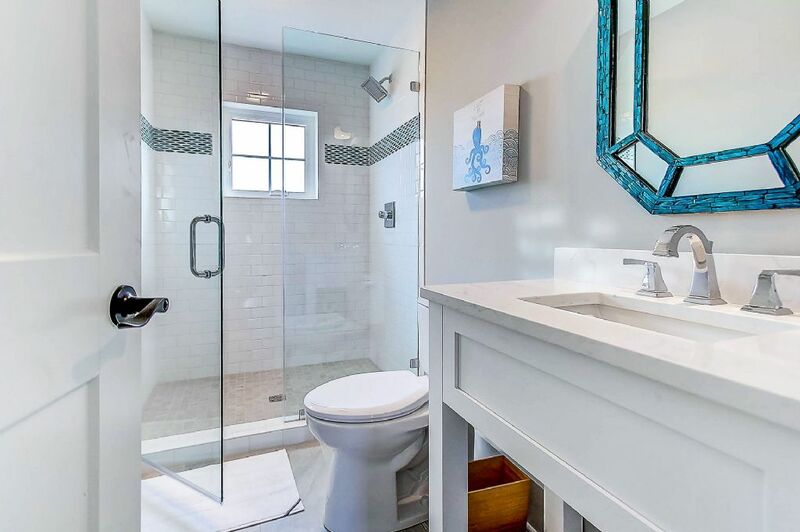 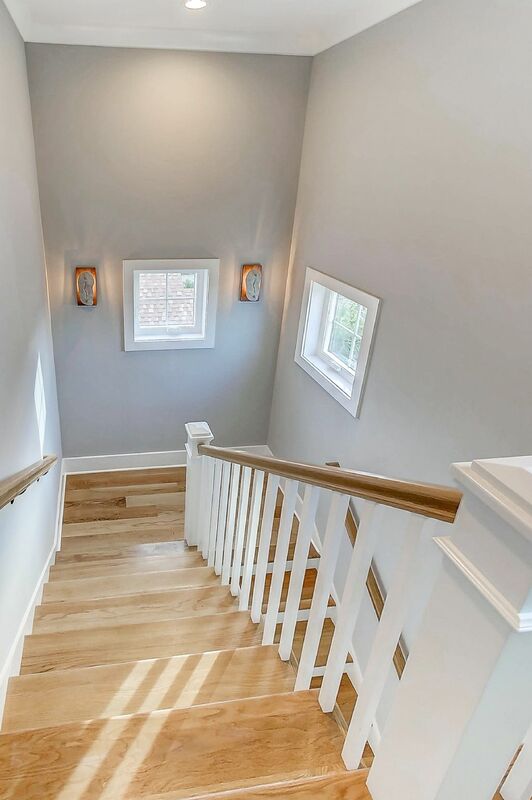 The house features a central stereo, alarm, elevator with stops on all three floors and has the perfect location a block from Berts and three short blocks from Center Street. 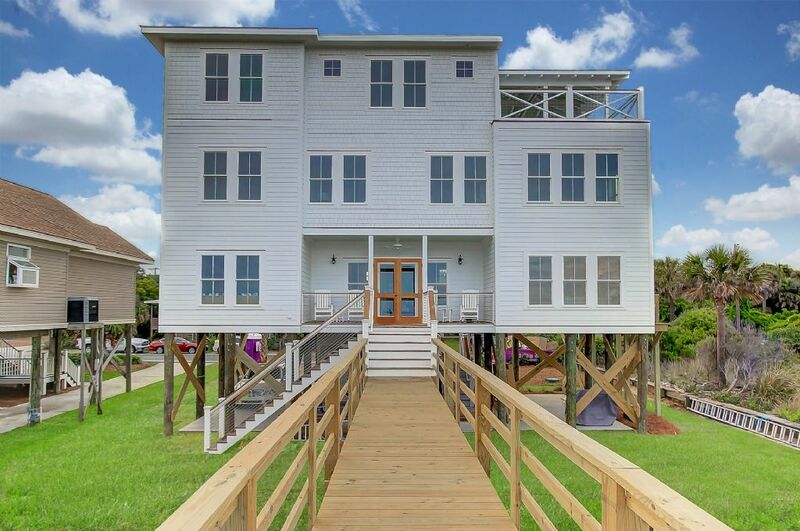 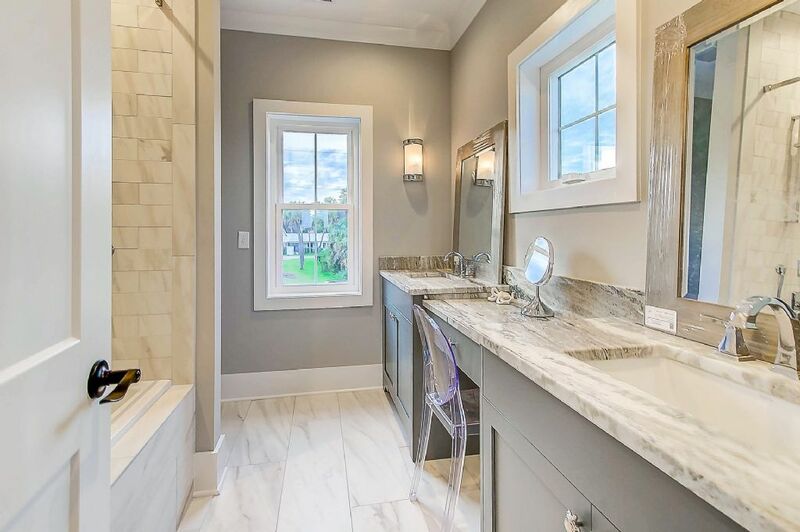 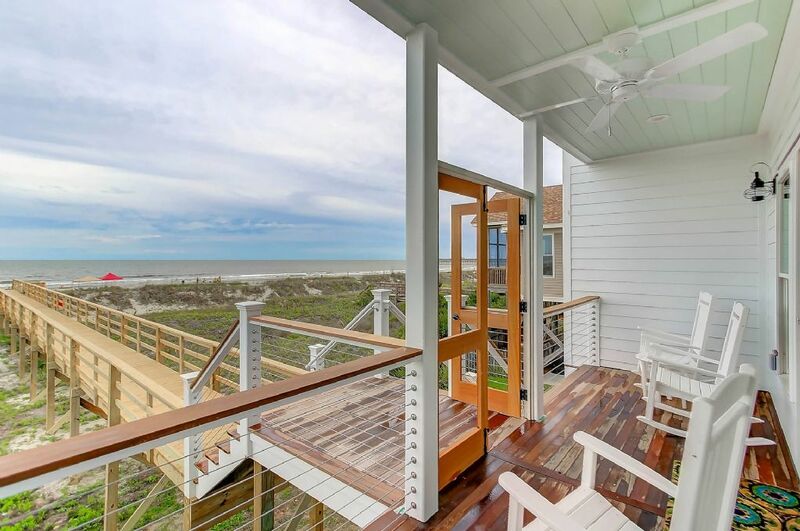 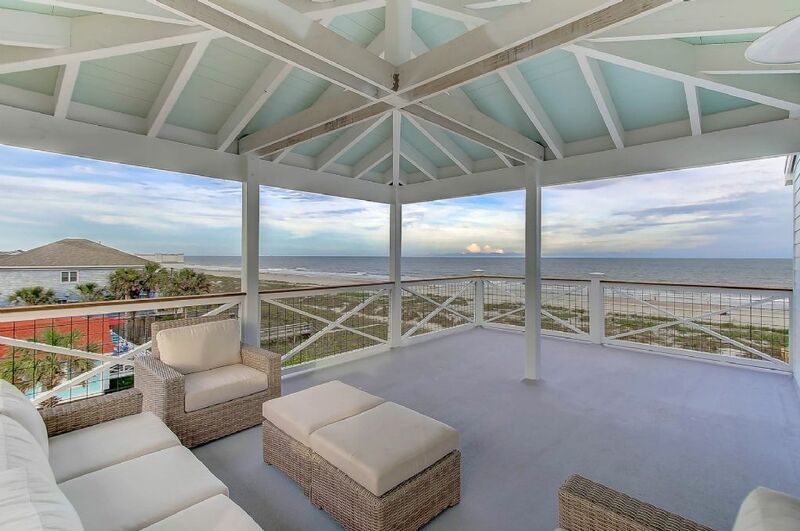 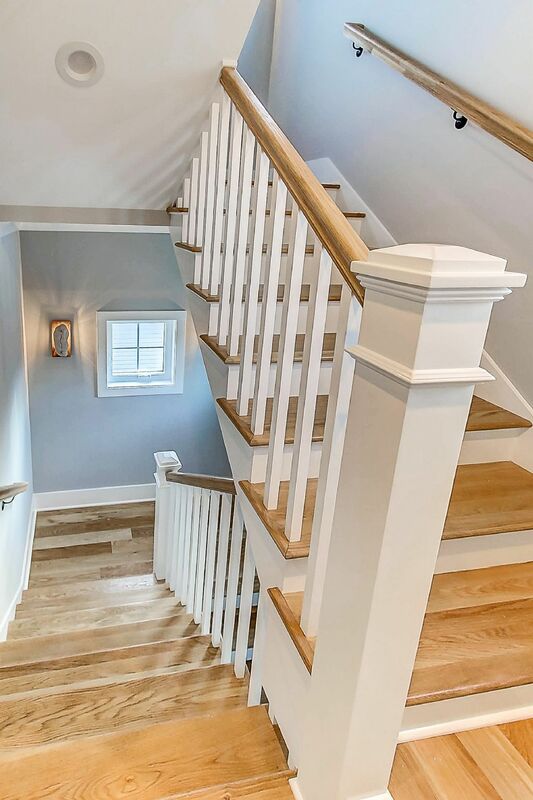 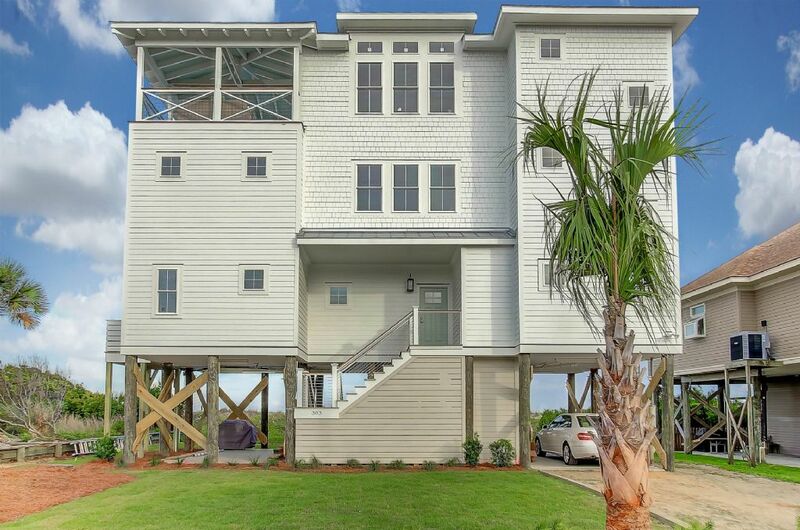 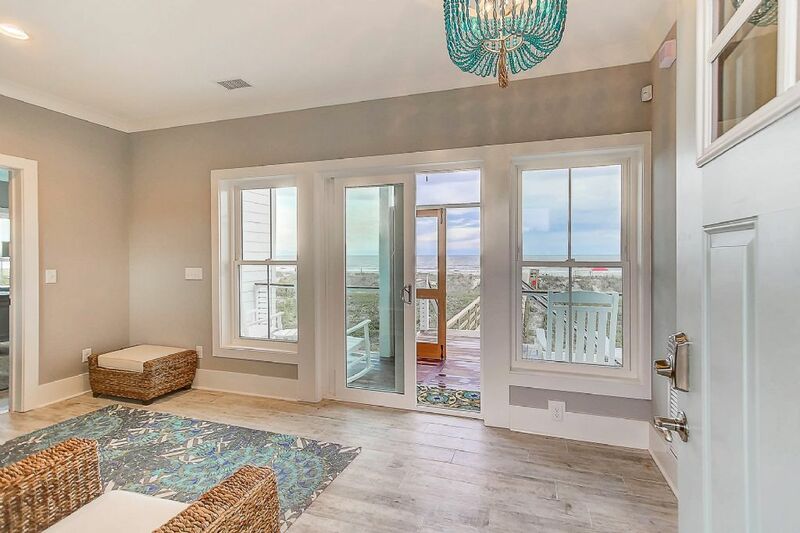 This gem was built in 2017 and designed by Folly architect Alan Kinter and and features top quality finishes throughout. 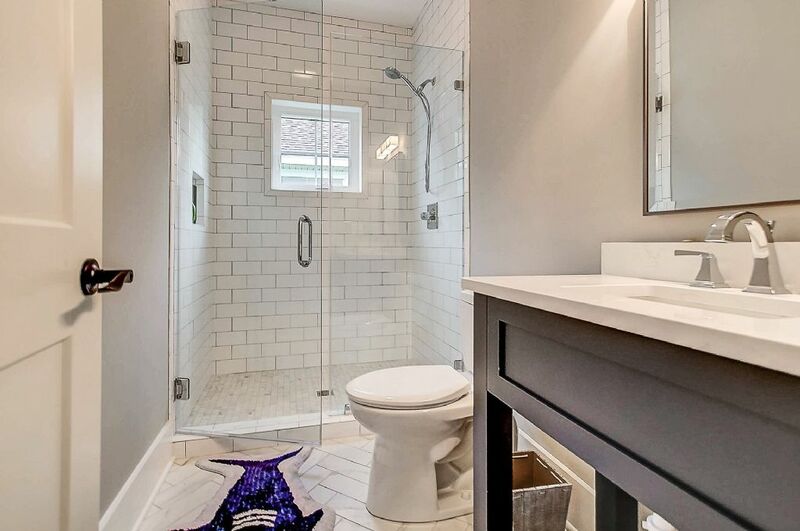 Home is strictly non-smoking and not pet friendly. 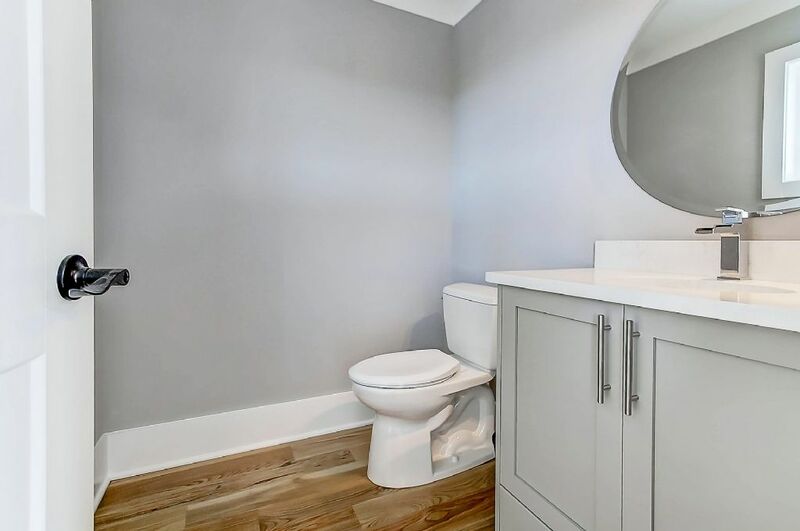 Must be 25 years of age to rent. 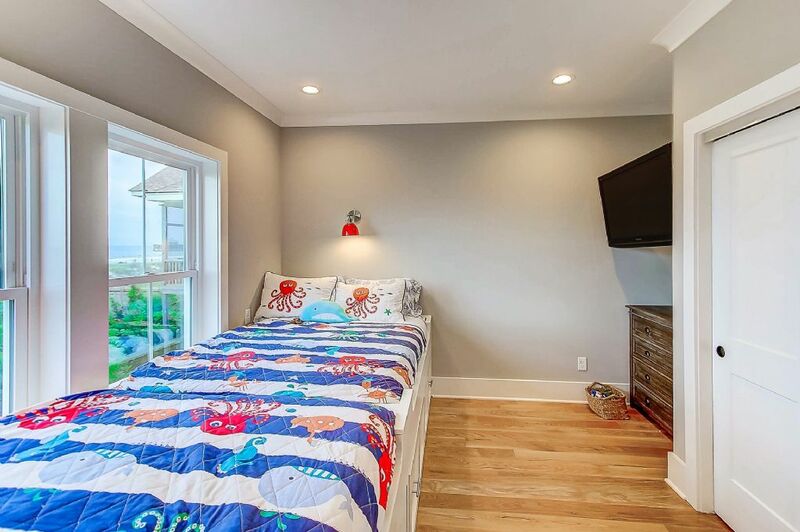 No parties/events allowed that exceed the maximum occupancy of the home. 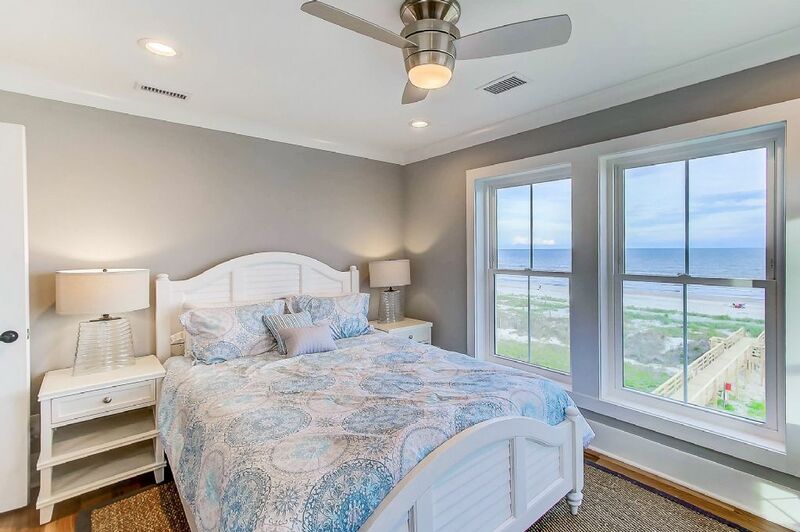 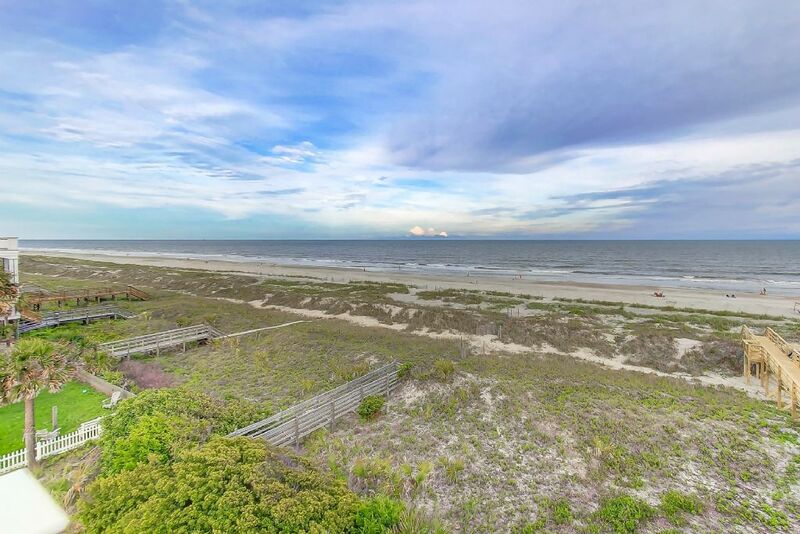 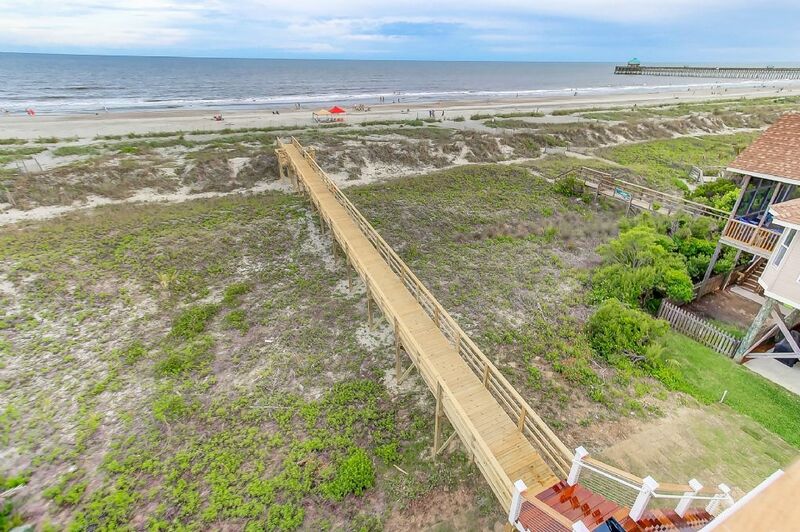 Call Carolina One Vacation Rentals at 843-588-1212 to book today!